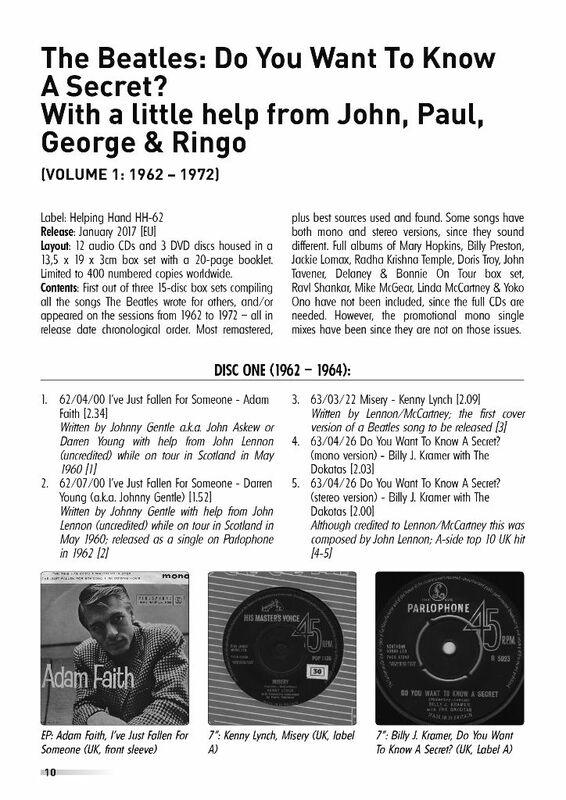 2017 45-1 With A Little Help Of John, Paul, George & Ringo (1962 – 2016) - The best magazine about Paul mcCartney! I remember starting out listening to the Beatles in my early teens when I borrowed a 90-minute cassette from my sister with the 1962 – 1966 ‘red’ compilation album plus all the other tracks from “Rubber Soul”. I was hooked. I went to the local library and took home all Beatles albums for home taping. One way or another it took a lot of time to find “Please Please Me” to ‘complete’ my collection, but I finally did. 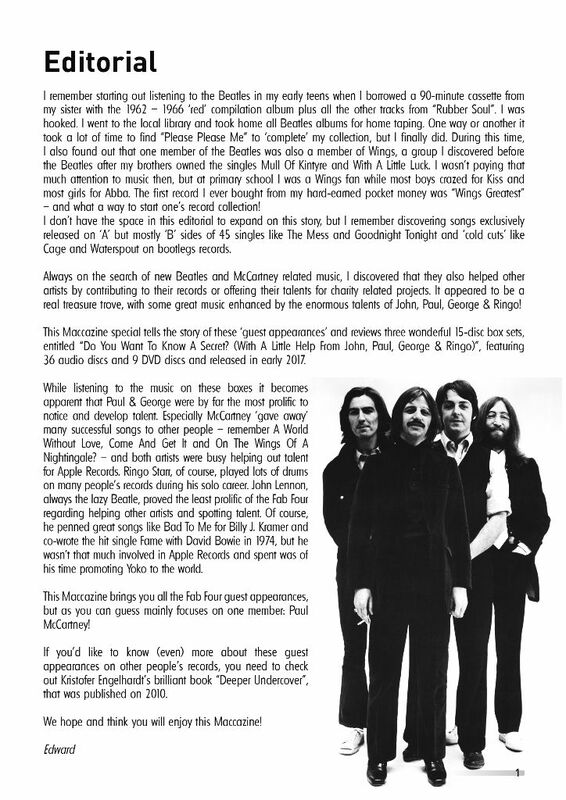 During this time, I also found out that one member of the Beatles was also a member of Wings, a group I discovered before the Beatles after my brothers owned the singles Mull Of Kintyre and With A Little Luck. 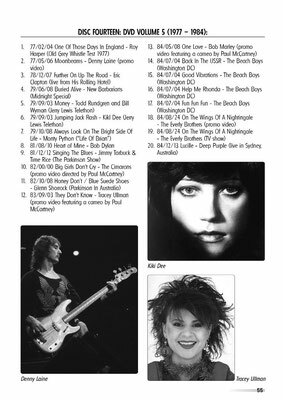 I wasn’t paying that much attention to music then, but at primary school I was a Wings fan while most boys crazed for Kiss and most girls for Abba. 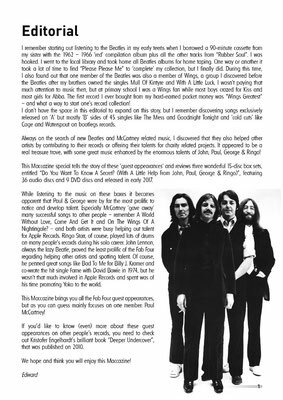 The first record I ever bought from my hard-earned pocket money was “Wings Greatest” – and what a way to start one’s record collection! I don’t have space in this editorial to expand on this story, but I remember discovering songs exclusively released on ‘A’ but mostly ‘B’ sides of 45 singles like The Mess and Goodnight Tonight and ‘cold cuts’ like Cage and Waterspout on bootlegs records. Always on the search of new Beatles and McCartney related music, I discovered that they also helped other artists by contributing to their records or offering their talents for charity-related projects. It appeared to be a real treasure trove, with some great music enhanced by the enormous talents of John, Paul, George & Ringo! 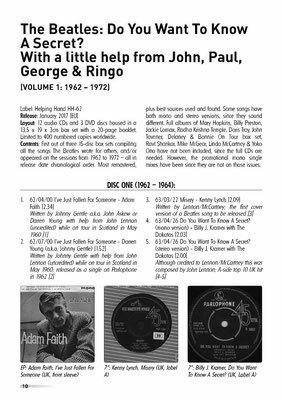 This Maccazine special tells the story of these ‘guest appearances’ and reviews three wonderful 15-disc box sets, entitled “Do You Want To Know A Secret? 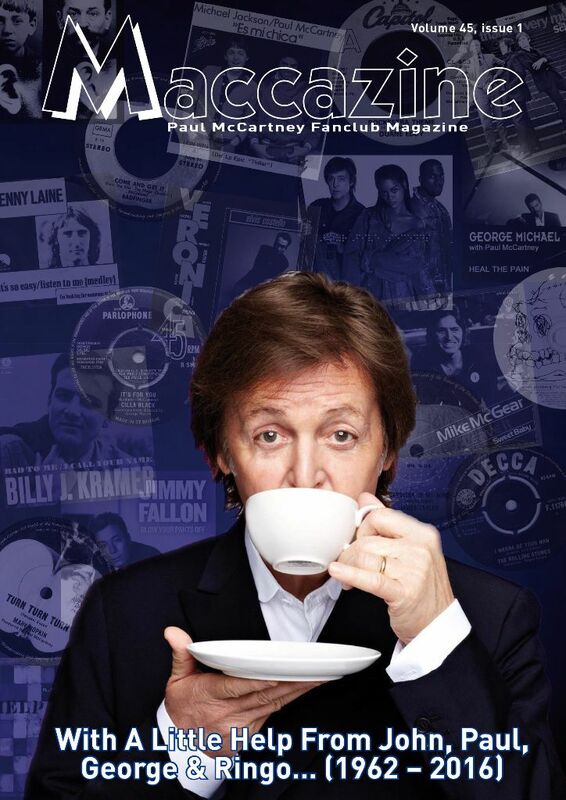 (With A Little Help From John, Paul, George & Ringo)”, featuring 36 audio discs and 9 DVD discs and released in early 2017. While listening to the music on these boxes it becomes apparent that Paul & George were by far the most prolific to notice and develop talent. Especially McCartney ‘gave away’ many successful songs to other people – remember A World Without Love, Come And Get It and On The Wings Of A Nightingale? – and both artists were busy helping out talent for Apple Records. Ringo Starr, of course, played lots of drums on many people’s records during his solo career. John Lennon, always the lazy Beatle, proved the least prolific of the Fab Four regarding helping other artists and spotting talent. Of course, he penned great songs like Bad To Me for Billy J. Kramer and co-wrote the hit single Fame with David Bowie in 1974, but he wasn’t that much involved in Apple Records and spent was of his time promoting Yoko to the world. 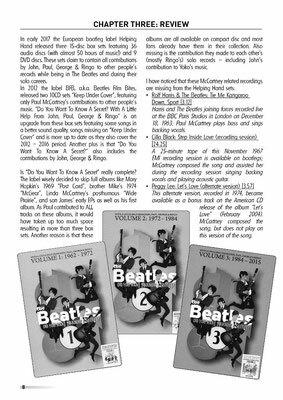 This Maccazine brings you all the Fab Four guest appearances, but as you can guess mainly focuses on one member: Paul McCartney!